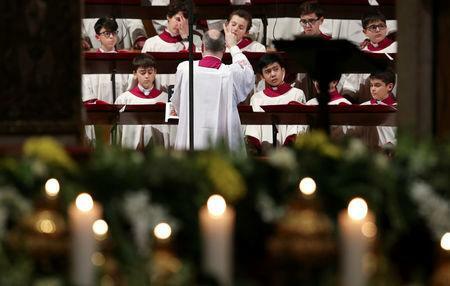 The Vatican issued a statement confirming an investigation hours after a report in La Stampa newspaper about the choir, one of the world's oldest singing groups. La Stampa said Vatican magistrates were investigating the choir's manager, who is a layman, and its director, who is a priest, on suspicion of embezzlement, fraud and money laundering. Last May, the choir, which is made up of men and young boys and has a recording contract with a major label, performed at the gala opening of an exhibit at the Metropolitan Museum of Art in New York called "Heavenly Bodies: Fashion and the Catholic Imagination." Founded in 1471, it is believed to be the world's oldest choir, with roots going back to the Schola Cantorum instituted by Pope Saint Gregory the Great around the year 600.